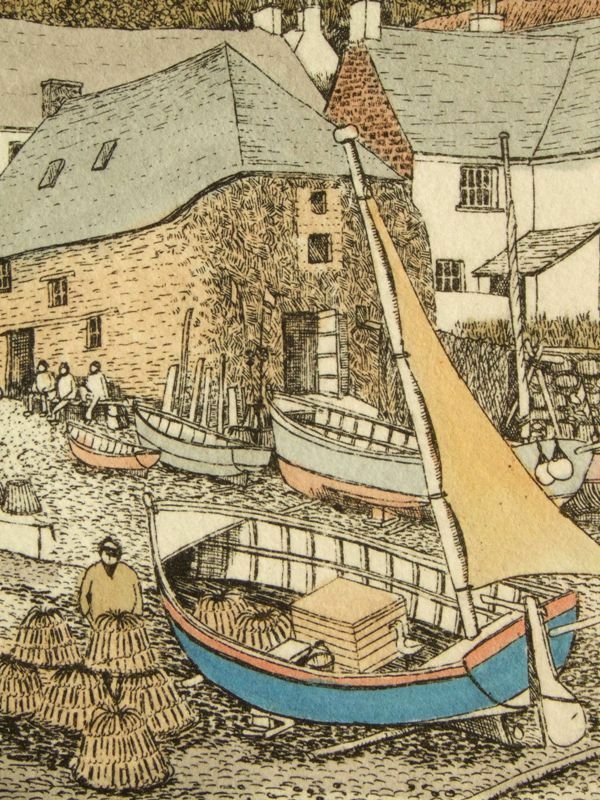 Cadgwith is a tiny fishing village forgotten by the 21st Century, located on the eastern side of the Lizard Peninsula in Cornwall. 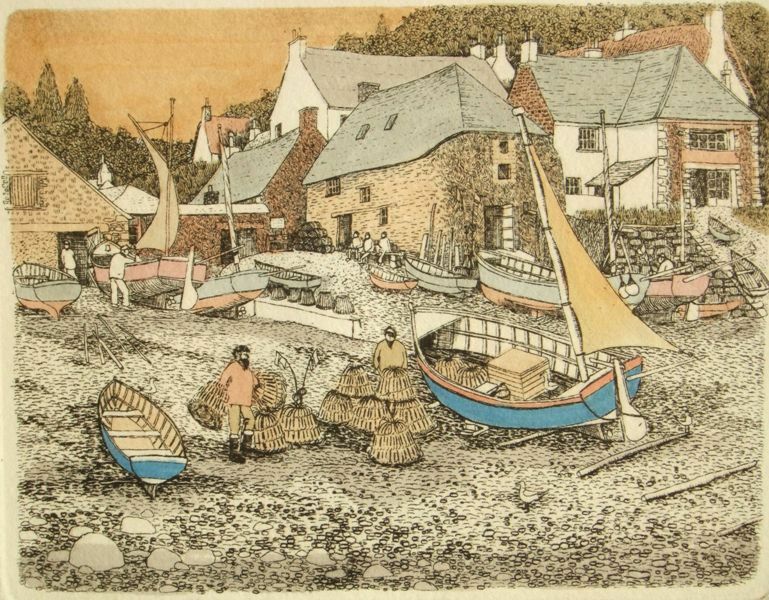 Andre Ellis; 1950- English artist, son of a fishing family who work and live in Cadgwith on the Lizard Peninsula of Cornwall. 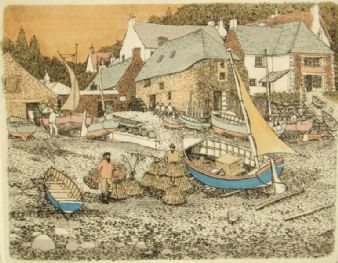 After serving with the Royal Navy he became a full time artist developing his own distinctive style with his pictures containing elements of his Cornish humour and 'Gullible' his ever present seagull. 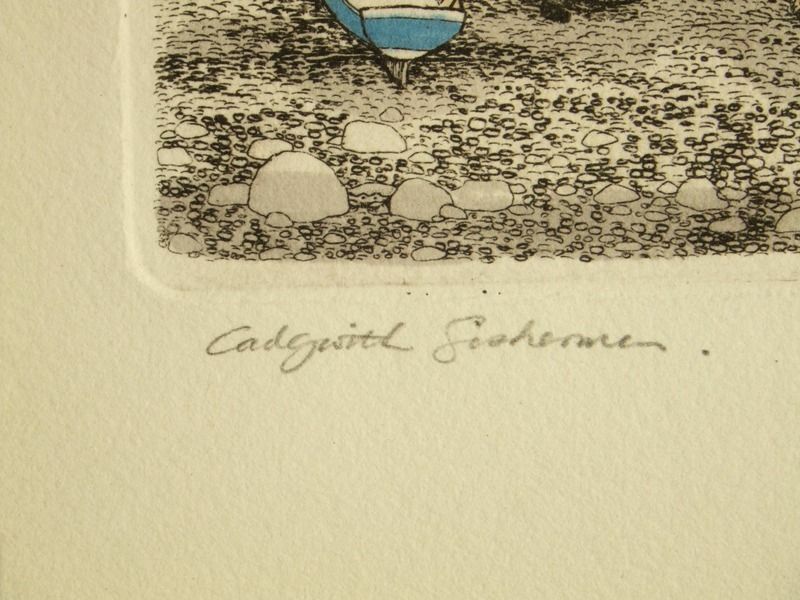 This fine etching has retained its colours, bright and unfaded with hand coloured inks, and fine detail. 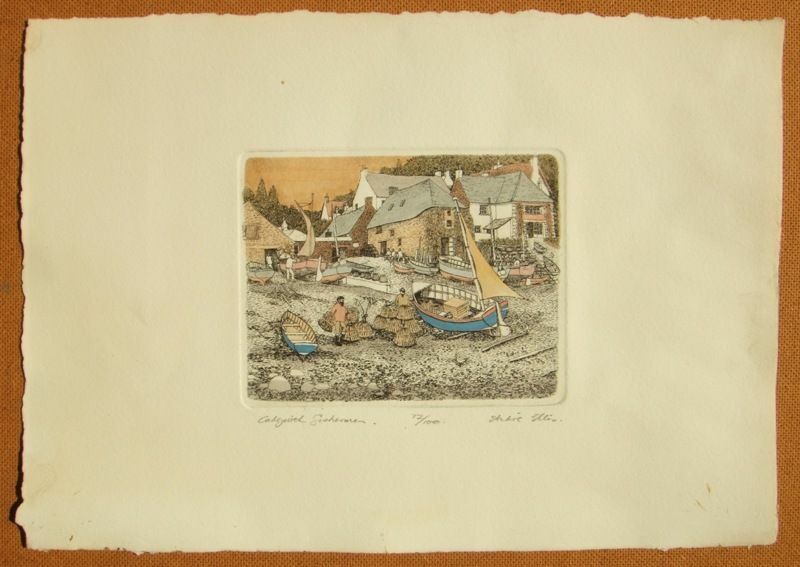 The image measures approximately 17 cms x 13 cms. (6½ x 5 ins.) within a strong platemark and impression. Printed on a medium wove paper sheet, size 39 cms x 29 cms. (15½ x 11 ins.) with deckle edges. 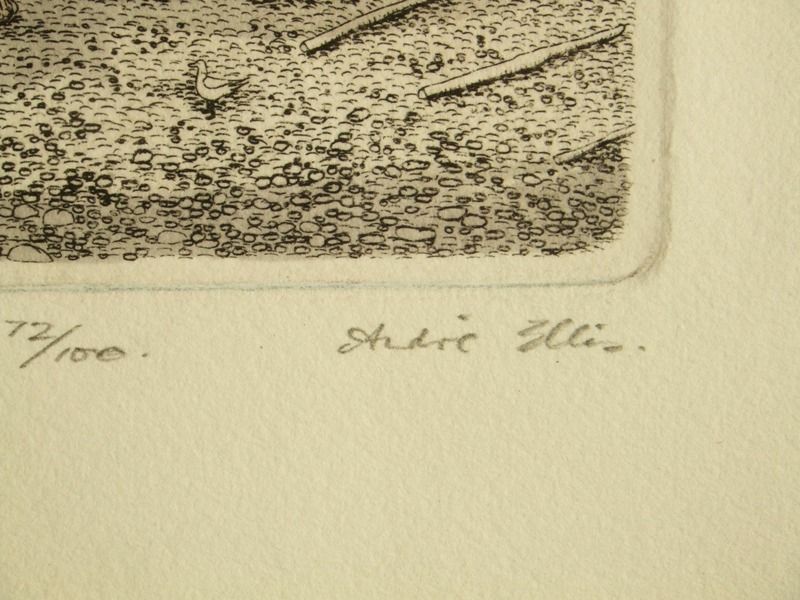 Signed and titled in pencil by the artist with the edition 72/100 below the image.